This project consisted of the rehabilitation of Runway and Taxiway Lighting and installation of Runway Vertical/Visual Guidance System. It involved placement of 28,000 linear feet of underground cable along with a Precision Approach Path Indicator on each end of the runway. The project cost of $350,000 was funded by the Federal Aviation Administration, the Mississippi Department of Transportation and the Laurel Airport Authority. 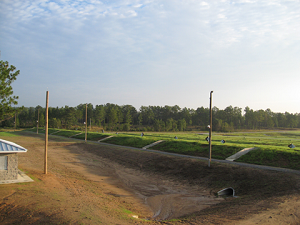 The project was completed in December of 2011. 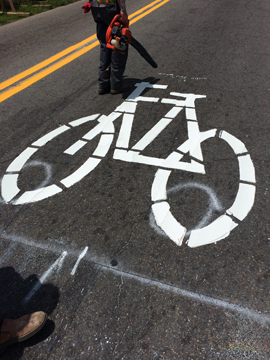 This $133,000 project consisted of cleaning and sealing 34,000 liner feet of cracks in the existing asphalt pavement and 65,600 square yards of coal tar emulsion. 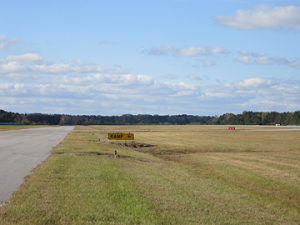 This project upgraded the entire surface of the runway, taxiway and apron. 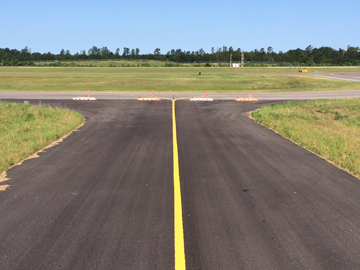 Finally, paving markings were installed on the runway, taxiway and apron using a non-precision marking layout. The project was completed in December of 2013. 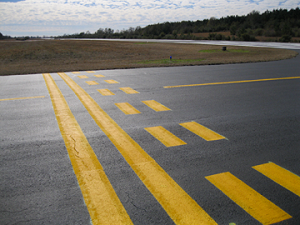 The project consisted of the installation of a new asphalt taxilane which included drainage, lighting and asphalt pavement to provide a location for additional aircraft hangar locations. The 35-foot-wide asphalt pavement provided direct access to Taxiway B and access to the 6,500-foot long runway of the PIB. The project was completed in May of 2016. This $461,000 project consisted of the construction of an Aircraft Storage Hangar for use by the Fixed Base Operator (FBO). 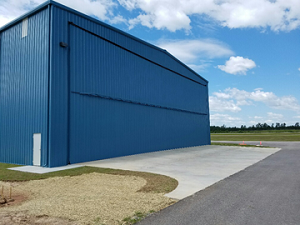 The 100’ by 100’ hanger constructed by Dewitt Faler Contractor of Collins, MS was completed in May of 2017 and featured a 90’ by 22’ bi-fold door, electrical, water service and floor sealer. 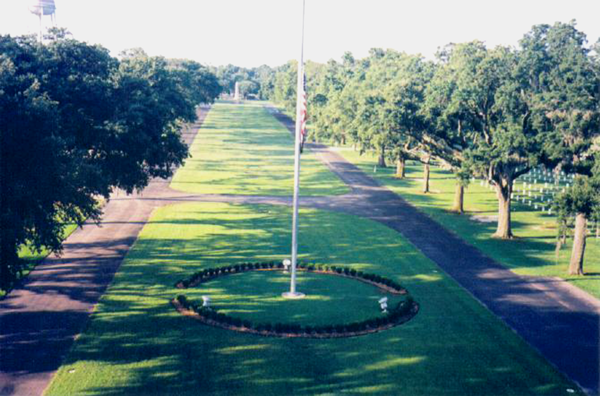 Renovations of the Biloxi National Cemetery, which began in late 2002, expanded the capacity of the cemetery as well as upgraded the existing grounds to present a complete and cohesive facility. Construction was co mpleted in May of 2004 for a total cost of $3,500,000. 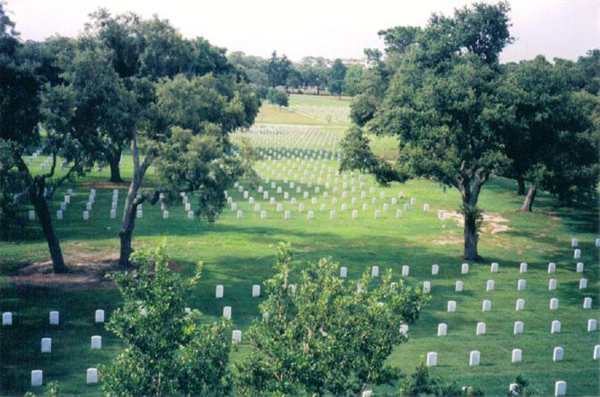 Work included installation of 1,723 in ground pre-cast concrete lawn crypts and approximately 2,700 in-ground grave sites, including location markers. 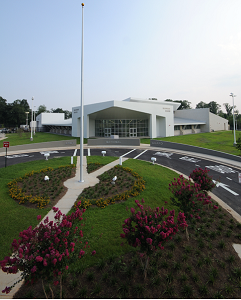 The approximately 12 acre site, which is northerly and adjacent to the existing facility, received a complete landscaping treatment and a new automatic irrigation system, designed in conjunction with The Landscape Studio LLC of Hattiesburg, MS. The existing burial grounds also received a landscaping upgrade and new automatic irrigation system. Reconstruction of the existing entrance included new concrete and masonry columns. 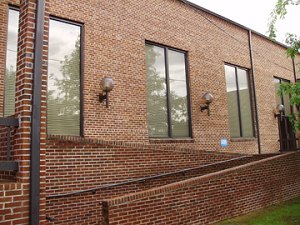 This $758,000 Community Development Block Grant (CDBG) project was completed in June 2008. This project consisted of installation of a 150,000 gallon elevated pedestal style water tank ($407,000) and a 500 GPM water well ($351,000) with treatment facilities. As a part of this project 1255 LF of 12″ PVC water line was installed to connect the new elevated tank and well to the existing system. 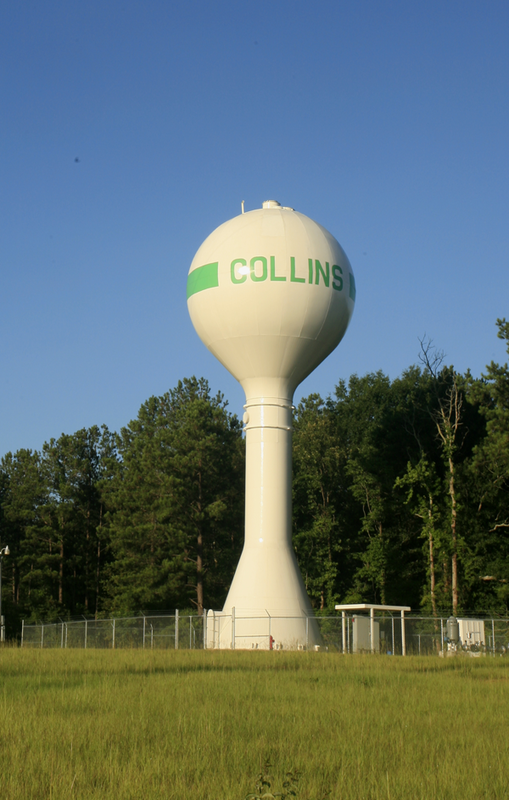 The addition of these facilities to the municipal water system was a welcomed improvement to the citizens of Collins. Completed in February 2012, this $1,371,000 project completely overhauled the existing treatment facility located adjacent to Wesley Hospital. The existing 1,000,000 gallon elevated water tank and 1,500 GPM water well were all that remained of the existing site after the project was complete. The existing well was upgraded with a new electrical supply and control system. This existing treatment building was removed to make way for a new 24 foot x 37 foot x 9 foot concrete clear well, on top of which new treatment and control rooms were constructed. New treatment systems include lime, chlorine, permanganate and fluoride. A new 12 foot tall aerator was installed as well. 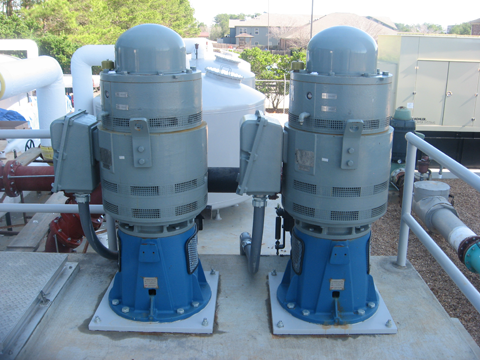 Two 1,500 GPM, 100 HP service pumps force water into a new 6 tank above ground pressure filter system installed adjacent to the treatment facility. Along with the filters, a new 41 foot x 82 foot x 9 foot backwash basin was constructed to collect the iron sediment removed by the filters. 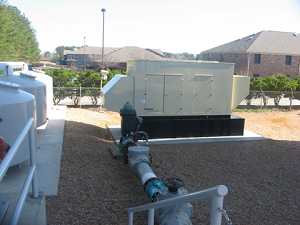 Lastly, a new electrical and control systems were installed along with a new 400 KW backup generator. Rehabilitation of the existing dam and reconstruction of the spillway structure, which began in July 2011, was completed in October 2011. 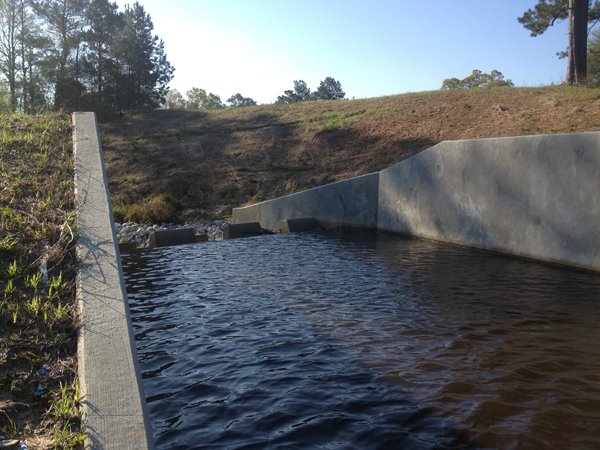 The approximately $200,000 project raised to the height of the existing dam as much as 3 feet in some places to meet current MDEQ regulations and constructed a new concrete primary spillway structure. Construction of the 25 foot wide concrete spillway structure included concrete baffle blocks and rip rap channel stabilization downstream of the structure. The project also included clearing of vegetation and existing structures from the dam. 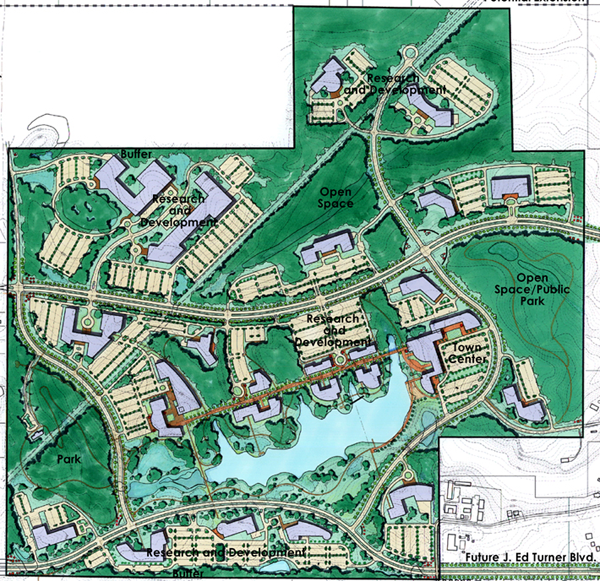 Completed in March 2004, this master plan contains a complete development scheme for a 500 acre site owned by the University of Southern Mississippi. Originally billed as the Innovation and Commercialization Park, the site is a research park to serve as a location for the development of public-private partnerships which will influence growth in the private industry. The park as since been renamed to The Garden. The plan for The Garden includes spaces for use by the university for educational and research purposes as well as spaces for public use and private entities. The master plan was compiled using information from environmental and wetland studies, utility and traffic planning. A development feasibility analysis was also developed to serve as tool to seek funds to construct the infrastructure for the park. Funding for the studies and master plan were provided by the US Department of Commerce and the Mississippi Development Authority. 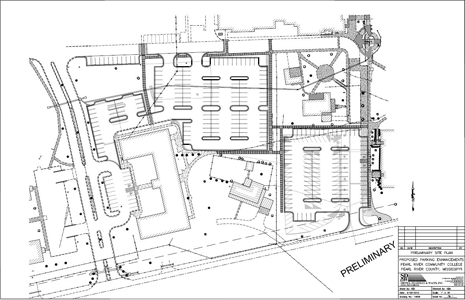 SDW Engineers served as the team leader for the master plan group which included The Landscape Studio LLC (Landscape), Wallace, Roberts & Todd LLC (Master Planning), Albert & Associates Architects PA (Architecture), Providence LLC (Engineering & Environmental), Engineering Testing Services Inc (Soils & Geotechnical) Gonzales-Strength & Associates Inc (Traffic) and Bonner Analytical Testing Co (Environmental). This project constructed a Welcome Sign to the City of Hattiesburg at the southeastern side of the intersection of US Highway 49 and Interstate 59 which is in front of the Lake Terrace Convention Center and the Hattiesburg Visitors Center. 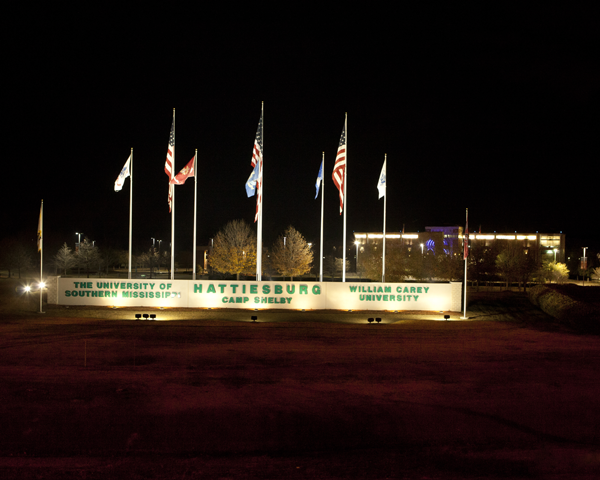 The Plaza includes 3 large American Flags, 5 flags for each of the branches of the military and 2 flags for each of the universities located in Hattiesburg. The plaza also includes are concrete wall which notes that Hattiesburg is the home of Camp Shelby Joint Forces Training Center, the University of Southern Mississippi and William Carey University. Lighting was designed by Larry Joe Daughtry, PE CEM. 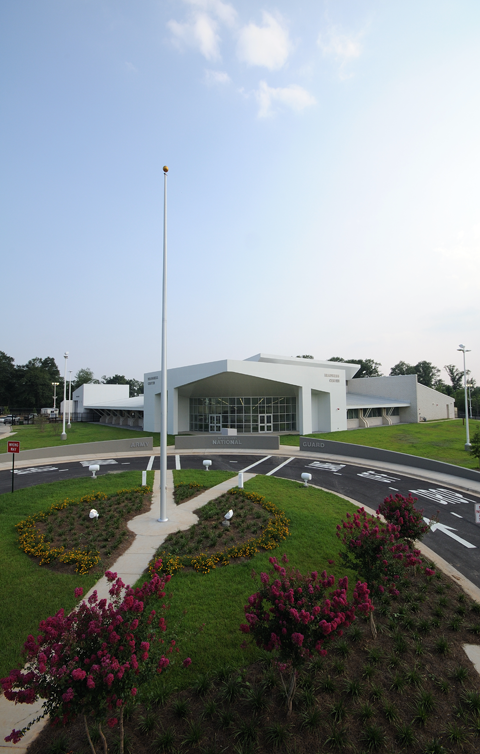 The National Guard constructed a much needed $2,000,000 Readiness Center to replace an outdated facility not far from the new location. As consultant for Albert & Associates Architects PA, SDW was responsible for the boundary and topographic survey of the new site as well as the design of all site improvements. A particular challenge of the new site was the extreme grade change across the site. The final solution included a cast-in-place concrete retaining wall which also served as an element of the required force protection of a facility of this nature. SDW designed the storm water collection system, site pavements, grading, utilities and force protection systems. The National Guard constructed a new Modified Record Fire (MRF) Range to help prepare US forces. This $3,000,000 project gave the National Guard a new 16 lane firing range which is capable of placing targets as close as 50 meters and as far as 300 meters from the primary firing position. Installation included in-ground precast concrete firing emplacements and in-ground precast concrete target emplacements. 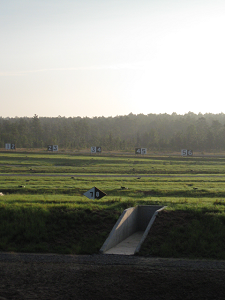 At the completion of the project, the range was wired for targets and ready to use. 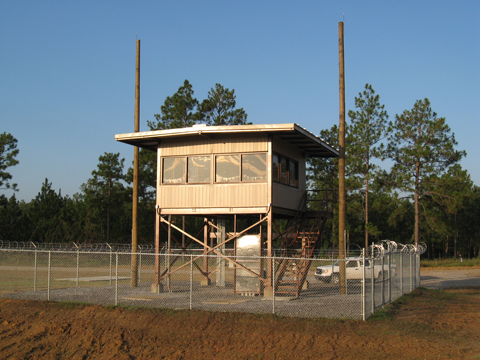 Additional requirements of this project were multiple instruction buildings, an ammunition dispersal building, an elevated control tower, portable restroom facility location and a parking area. This multi-phased project was completed in December of 2011 and consisted of the construction of decorative lighting in areas of downtown Hattiesburg for a total cost of over $2.6 million. 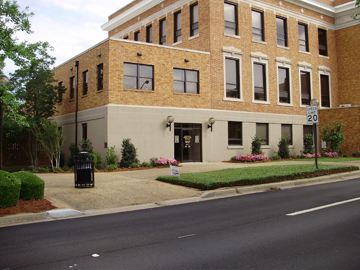 The first phase entailed lighting existing municipal building and the installation of decorative fixtures along 3,825 linear feet of roadway including portions of Main Street, West Pine Street, Batson Street, Front Street, and Mobile Street. The next phase was larger and included lighting along 6,880 linear feet of roadway including McLeod, Forrest, West Pine, Front, Dudly, Connor, Main, Buschman, Walnut, and West Laurel Street. Two Pedestrian Connections under one project were completed in September of 2013. The first connection was between North Main Street and the Train Depot along an existing street and across several high use railroad facilities. The second was between the Long Leaf Trace near Hutchinson Avenue and Kamper Park. This second portion also consisted of the installation of a 150 foot clear span pedestrian bridge across Gordon’s Creek. The project cost were $907,000 and provided vital pedestrian connections to multi modal and recreational facilities. 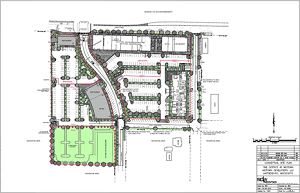 The District at Midtown is a mixed use residential and retail development in the heart of Hattiesburg. The total investment is estimated at $35M and is currently in the construction phase. 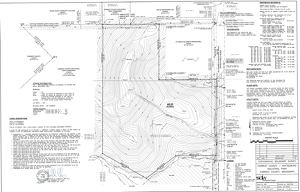 SDW, Inc. scope of work consisted of an ALTA Boundary Survey of Property, Phase I Environmental Site Assessment, Geotechnical Investigation and Report, Civil Site Plan and Specification, Drainage Plans and Specifications, Storm Water Pollution Prevention Plan (SWPPP), Utility Plan and Specifications, and finally Pavement Design Specifications. 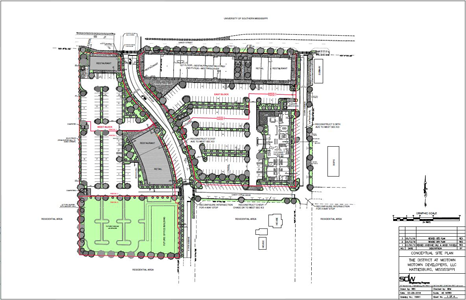 This $762,000 project comprised of site development of a 40-acre parcel in the Hattiesburg- Forrest County Industrial Park. 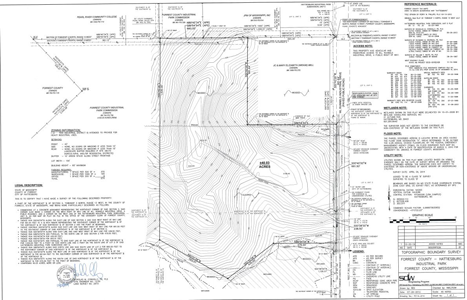 Shows, Dearman & Waits, Inc was responsible for the development of a 40-acre topographic map, 40-acre boundary survey, and additional 130-acre boundary survey, 40-acre geotechnical report, grading plan and SWPPP. SDW also provided construction phase services. 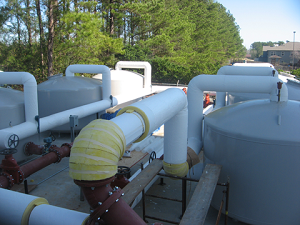 This quick paced project was prepared, bid, awarded and constructed in response to a $100 million dollar economic development project for a paper converting manufacture. 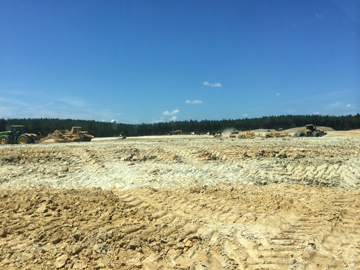 Construction included moving approximately 250,000 cubic yards of dirt, installation of detention basins and control structures. The project was completed in February of 2015. 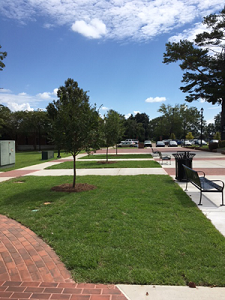 This project consisted of the construction of two centralized parking lots and the repurposing of an existing roadway into a Pedestrian Common Area on the Poplarville Campus. The total construction cost was $1M and the project was completed in November of 2016. Completed in May of 2017, the Longleaf Trace Phase III project ($1,300,000) consisted of clearing, grubbing, grassing, asphalt pavement, signage, striping, fencing and laying pipe along portions of the Long Leaf Trace between the USM Gateway and North Main Street in Hattiesburg, MS. 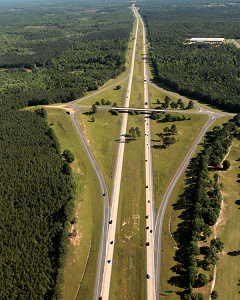 This final connection of the Longleaf Trace between Prentiss and Hattiesburg results in a pedestrian facility of approximately 45 miles through both rural and urban settings. 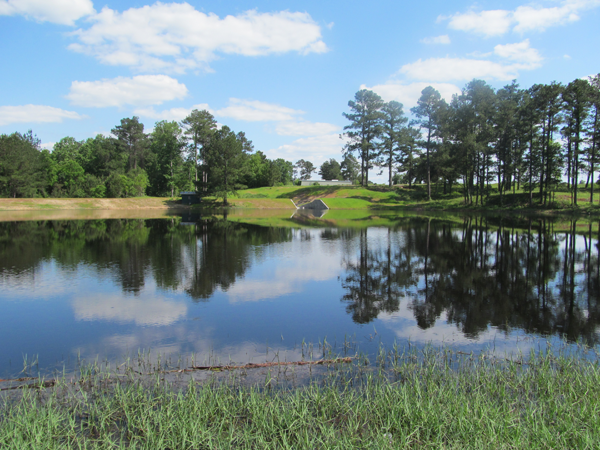 The award winning Longleaf Trace provides users from the local areas as well as across the United States an opportunity to visit the local communities along the trail in south Mississippi. 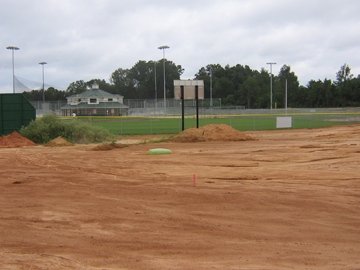 Expansion to Friendly Park, a recreational sports park in Petal, MS, was completed in 2011. The project consisted of $188,000 to curb, gutter, and asphalt parking for the park. It also included a lighting phase which totaled $376,000. Completed in May 2010, this $557,000 project included the removal of the existing structures and the installation of a new precast structures. 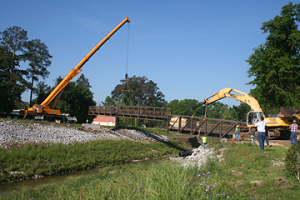 A precast concrete bridge containing three 31 foot spans was installed over Gordons Creek on West Street. Rip rap bank stabilization was also installed on the bridge abutments. 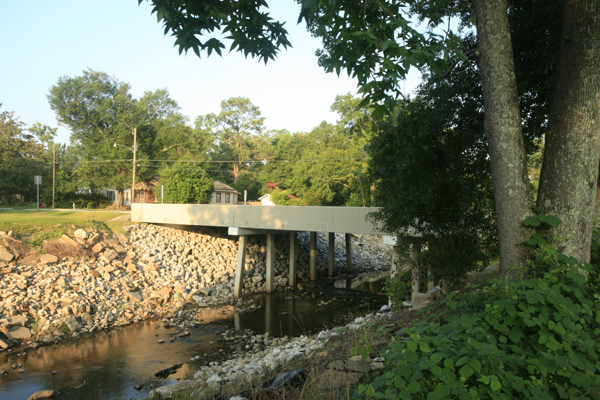 A 49 foot long, double 10 foot x 6 foot cast-in-place concrete box bridge was installed in a creek tributary on Alice Drive. 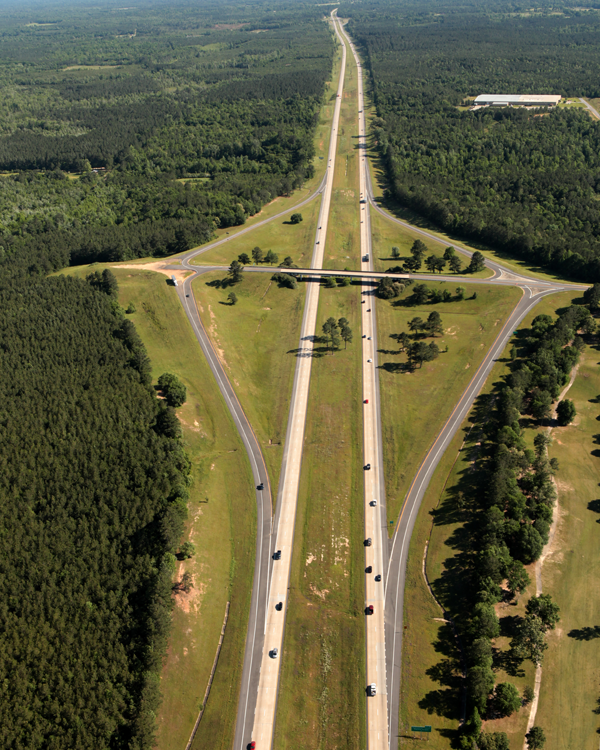 The goal of 14 mile (total length) project was to insure the continued safety of the traveling public as well as perform some much need maintenance to the Interstate System in South Mississippi. Much of this project included repair of damaged sections and grinding of the existing concrete pavement so that it will continue to last for years to come. Traveling safety was also upgraded with the installation of rumble strips along the edges of the highway and new traffic striping. 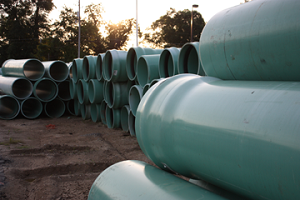 As part of a larger Comprehensive Sewer and Water System Improvement project started in 2011 by the City of Hattiesburg, this project provided upgrades to existing sanitary sewer. Comprehensive Sewer Improvements Phase III, a $1,725,000 project, consisted of constructing new sanitary sewer infrastructure and updating existing sanitary sewer infrastructure. 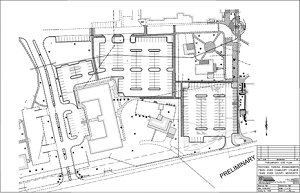 It included over 8,000 feet of sanitary sewer line in varying depths from eight to twelve feet. The project upgraded the existing failing gravity sanitary sewer system in the Mobile Street area of the City which was constructed almost 100 years ago. This phase of the Sewer Improvements project was completed in April of 2015. 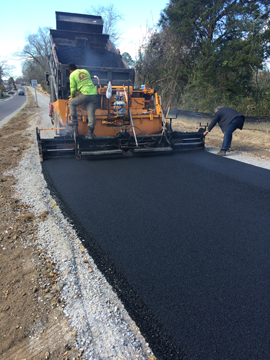 Continuing with the infrastructure improvements projects for the City of Hattiesburg, ComSWIP Phase VII, consisted of new infrastructure and updating existing infrastructure along Timothy Lane, Adeline Street, South 18th Avenue and Brooklane Drive. 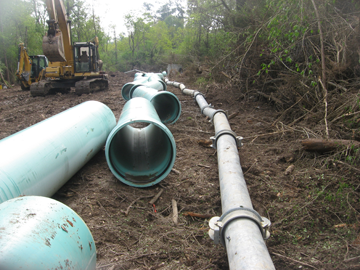 Approximately, 3,500 linear feet of 30” SDR 26 PVC Sewer Pipe was used in the project with depths exceeding twenty feet. Completed in July of 2016, these needed improvements totaled $2,930,000.